I am so grateful that I celebrated Ramadan this year. It is so sad that Ramadan has come to end so soon. I don't know if I'll still live to experience another Ramadan next year. I miss Ramadan already. Ramadan is about drawing closer to Allah by the recitation of the Qur'an, which was revealed in the same month. It is the tradition of the Prophet Muhammad sallallahu alaihi wasalam to finish the whole Qur'an in Ramadan with angel Jibreel alaihi salam. I am so glad that my Qur'an teacher gave us memorization homework of some juz or sections of the Qur'an for revision during Ramadan. Alhamdulillah, Allah blessed me with the time to study them. I also take time to study the Quran explanation. I love it when I understand the Qur'an. Once I was in the car reciting Qur'an and tears came. There are so much things that Allah is telling me through the Qur'an. Allah is talking to me through Qur'an. This made me realized that I really need to study the Arabic language, the language of the Qur'an, to understand the Qur'an and to understand what actually Allah is trying to tell me. Insha Allah I would like to join Arabic with Husna teaches by Ustaz Nouman Ali Khan. I remember the hadith my teacher told me at the beginning when I started study Quran that it was said by the prophet that those who read the Quran beautifully will be in the company the angels but those who struggle when reading, will have twice reward. Subhanallah! This Ramadan I bought a note book to write my conversation with Allah. Alhamdulillah, during Ramadan I took some time (I wish I took more time) before iftar or breaking the fast to talk to Him by praying or making dua to Him. I go to a quiet place in my house, usually in my bedroom, and I just talk to Him. This is the best example. I always remind myself that if he complain to Allah why dont't I? I remember my teacher reminded us about prayer before iftar and she said to be very specific when you pray and say all the details what you need to ask. Like what she said, I have got to be very specific and detailing in my dua. I give thank to Him for everything that He bless me with and the things that He keeps away from me, I ask for His forgiveness by deleting all my sins until there is no trace of them, I ask Him to guide me to the truth by showing me the straight path, I ask Him to keep my faith strong and I ask him for many more things not only for myself but other as well. Talking to Allah make me feel closer to Him. Subhanallah! During Ramadan I listen to Ustaz Nouman Ali Khan beautiful explanation about Allah is Near in Qur'an Weekly here. Through the Qur'an Allah is talking to me. I'm grateful that I can talk to Him. 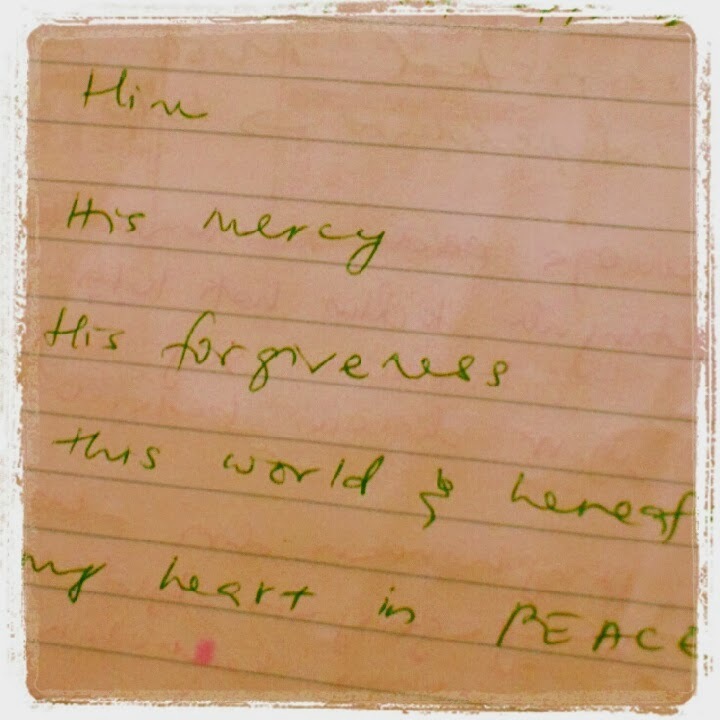 I do feel blessed and closer to Him. I would say that the best training from this Ramadan for me is that I was able to develop the habit of talking to Him. Download Takbir in MP3 and Real. A new postural suit for Mujhee. 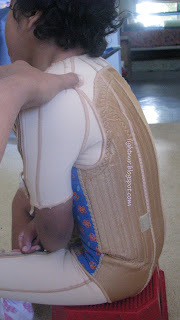 Second Skin: Mujhee's third body splint for postural support. 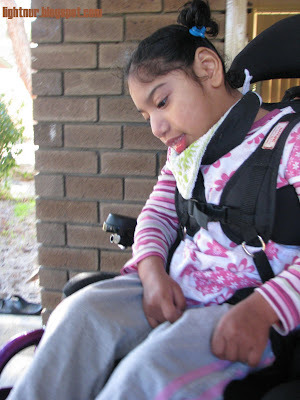 How a Muslim mother of a child with disabilities struggles through grief. Fifth Inset: Custom made wheelchair seat. More seizures: New medication, new hope. Our family favourite Eid cookies.